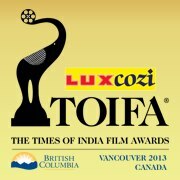 We are live from the Times Of India Film Awards 2013 (TOIFA) in Vancouver. It’s time for the popular awards tonight. Sonu Nigam won the Best Playback Singer Male for Abhi Mujh Mein Kahi from Agneepath, while Shalmali Kholgade won Best Singer female for Pareshaan from Ishaqzaade. In the negative role category, it was Rishi Kapoor’s outstanding performance in Agneepath that won him yet another award this year. Ranbir received the TOIFA award on behalf of his father. Annu Kapoor and Dolly Ahluwalia won Best Actors in a Supporting Role for Vicky Donor. Agneepath was declared as the Best Album of 2013. Shahrukh Khan in the house!! Crowd go crazy. He performs just before the Best Actor and Actress awards are given out. Will SRK win the Best Actor award? He’s been nominated! Aishwarya Rai Bachchan is performing live at the TOIFA! She is looking gorgeous. Dhoom Again!! Priyanka Chopra was brilliant. Loved her performances at the Times Of India Film Awards 2013. Katrina Kaif performed to Chikni Chameli and more in front of a full house in Vancouver. Abhishek Bachchan rocked in his opening act! Shahrukh Khan TOIFA Pics: From Mumbai to Vancouver! Deserving winners. It is the perfect awards..
best singer of the year-sonu nigam.. I think this year,the jury were fool of fakefare,thatz why bathroom singer won for best singer..
no need to announce the best actress indicine..
since priyanka is performing,she would be getting it!! that tells about the fakeness of award functions..
Priyanka deserves the award for barfi, waiting to see SRK’s jabardast performance on tv. Very happy b’couse Sonu Nigam sir win best male playback singer 4 Legendory song Abhi mujh mien kahin. RK and Barfi bagged that many awards? Seriously, where is Indian Cinema going? Barf didn’t win a single Nation Award coz it was copied from numerous other Movies, even Ranbir’s own character was copied from Mr. Bean. In all honesty, either Irffan or HR should have won Best Actor award. And either GOW or PST should have won Best Film Award. But OK I have been saying this from months and I am not surprised by these results either. For rest, they were deserving. Aishwarya. . . Who is she ? Why is every award function ignoring “OMG : Oh My God” ? Barfi took the first places? SHAME! ! ! I am so angry that is ready to shoot down those who voted for these candidates because they stand up for falseness, for lag of the Indian cinema from a world cinema! If these movies are awarded, and such as “OMG: Oh My God” to be ignored, Hindus always will be losers! They award relatives, friends… Kapura really think, what having awarded Ranbir in Canada it will add to it prestige? They really think, what having looked at this poverty they will consider it talented? And all to rush to invite him to Hollywood? They really such naive? ? ? Yes they it will tell you in eyes, and for eyes such perfect ХХХ…, for that that spent THEIR TIME for such rubbish (how many I have already heard plenty of it). 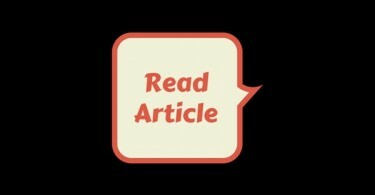 @remotecontrol : Let me know the kitchen (source) from which u cooked up this story. Dilip aka Yusuf saheb is a legend he will never say such immature things about even a small actor forget about Salman. Shame on u for using a legend’s name to fight with us (salman fans). Now it is proven srk fans can get down to such a dirty level to prove anyone wrong. Whatever,…….Agneepath songs are good….Barfi songs are best…………………………..
Shahrukh Khan in the house!! Crowd go crazy. He performs just before the Best Actor and Actress awards are given out.